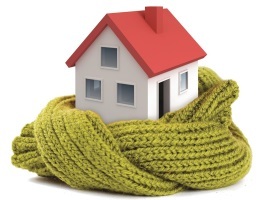 Being without heating or hot water is no fun especially in the Winter months. Thankfully few tenants in properties managed by Jungle Property ever experience this as issues with heating and hot water installations are dealt with quickly. However for those rare instances where there are problems with heating or hot water installations that cannot be resolved quickly, help is at hand. Jungle Property have available space heaters for collection or delivery in instances where the fixed heating installation in the property is not working. Further, in instances where there is no heating or hot water in the property, Jungle Property will pay the tenant compensation for each 24 hour period the heating or hot water installation is not working. 1. Offer of space heaters and compensation is only open to tenants of properties managed by Jungle Property. 2. Offer of space heaters is only open to tenants who have no part of the fixed heating installation and no solid fuel burning appliance functional. 3. Offer of compensation only applies where there is a total failure of all fixed heating installations in a property with no working solid fuel burning appliance or total failure of all installations for providing hot water in a property with no electric shower. 4. Compensation is only payable for each full 24 hour period the heating or hot water installation is not working and is payable at the end of the tenancy subject to all conditions within the tenancy agreement being met.